Well there is no pretense anymore about the Palestinians willingness to recognize Israel as the Jewish state. The Palestinian Authority [Fatah led] has joined hands with and will form a unity government with the terrorist organization Hamas. Yes, the curtain that the Palestinians and this administration, now led by Secretary of State John Kerry, have had closed for years, has now been opened to reveal the terroristic nature of the Palestinian Authority all along. You have John, the wizard, Kerry who still wants Israel to pay no attention to those terrorists behind the curtain, saying he refuses to give up hope and he will not abandon the peace process. Then you have a true great leader, the Prime Minister of Israel, Benjamin Netanyahu opening that curtain for the world to see. Bibi has laid down the law: there will not be peace negotiations with terrorists who want the elimination of the Jewish people everywhere, and want the destruction of the state of Israel. Israel will forever remain a Jewish state, and until that fact is recognized by the Palestinian Authority, negotiations will never start. The Prime Minister announced his position, that the "peace" negotiations with the Palestinians were dead in a riveting interview on the Fox News Channel's Special Report hosted by Bret Baier. 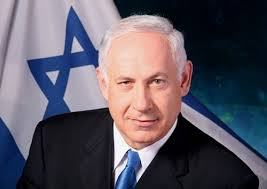 This was a great interview between Bret Baier and the Prime Minister of Israel. I thank Right Sightings on You Tube for this video of that interview. Thanks so much for sharing these videos. They pretty much tell the story of why, unfortunately, we are no closer to a peace agreement!